Hi Guys! 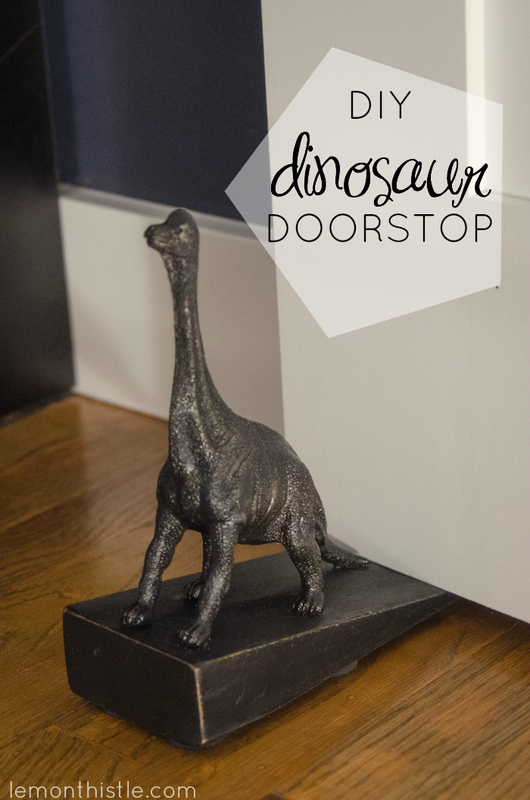 Colleen here from Lemon Thistle (home of DIY, Parties, Home Decor and lots of babies) back to share this fun dinosaur doorstop with you. Does it look a little familiar? 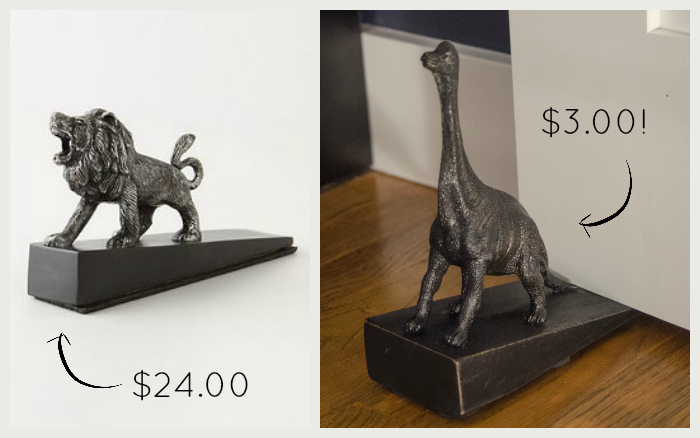 I fell in love with this Anthropologie lion doorstop a while back but couldn’t justify the $24 price tag… for a doorstop. Since my last Anthro knock off turned out so well, I was inspired to give this one a shot, and I’m so glad I did! I had never really thought about doorstops before, but my kids have taken to closing doors. All. The. Time. I don’t love them shutting themselves in their bedroom while I’m prepping dinner, so we’ve been moving a nightstand in front of the door and that’s such a pain. Plus, the designer in me hates having a nightstand hanging out in front of their door. 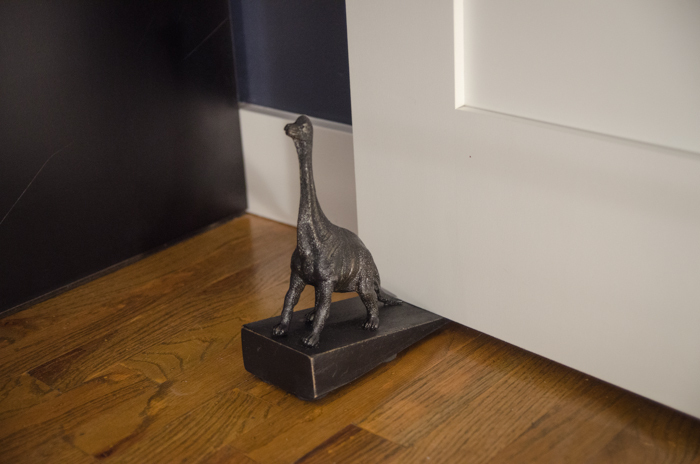 I love the way this little dino turned out so much- I think that this could hang around even after they’re done their ‘door closing’ phase. And to make me more happy about this guy, the price tag rang in at $3 for me. Since I love Anthro, but I love my budget even more- I couldn’t be happier with the outcome. 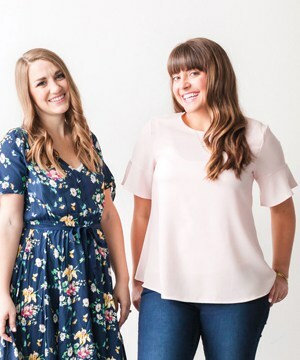 Want to get one for yourself? Here’s how I did it. I started out by making my basic wooden door stop. Who would have thought one of these would be hard to find? I checked dollar stores, Walmart, Target… basically anywhere I regularly shop and all I could find was rubber ones. But we have a ton of scraps from 2×4 cuts (we’re building a shed!) so I convinced my hubby and his dad they should take time away from the shed to make me one. It’s super easy. 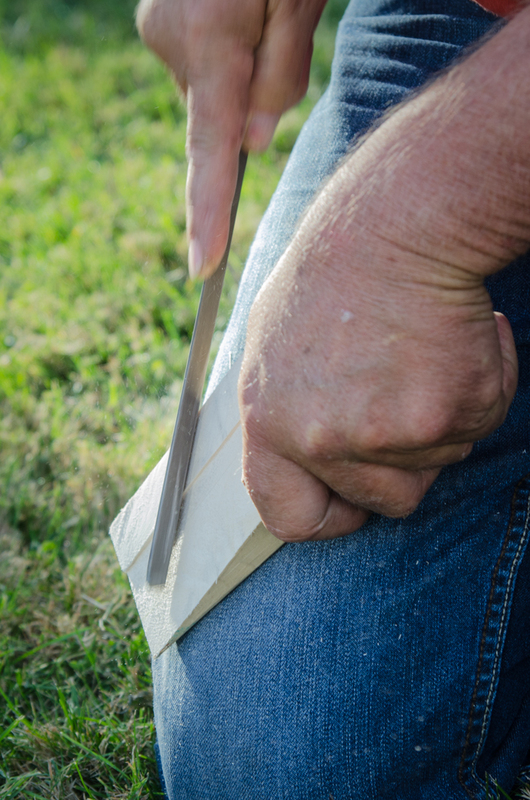 Make sure the scrap piece of 2×4 is a bit longer than your plastic toy, then just cut it on an angle- if you’re making it for a specific door, make sure you cut it on a steep enough angle to stop the door! 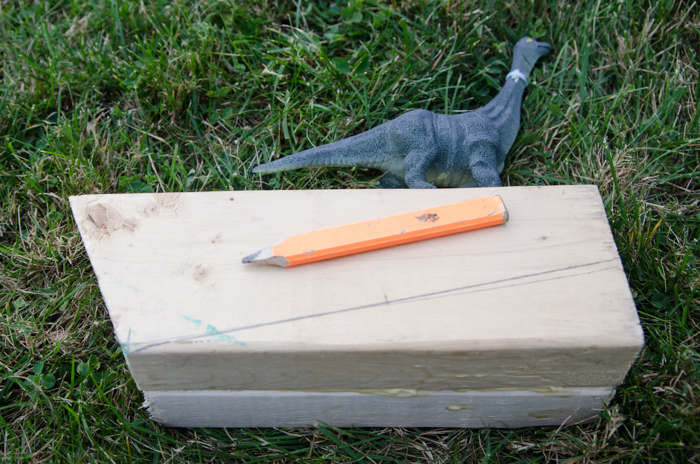 Since my toy’s legs were wider than one 2×4, we glued two together before cutting (make sure to clamp them!). 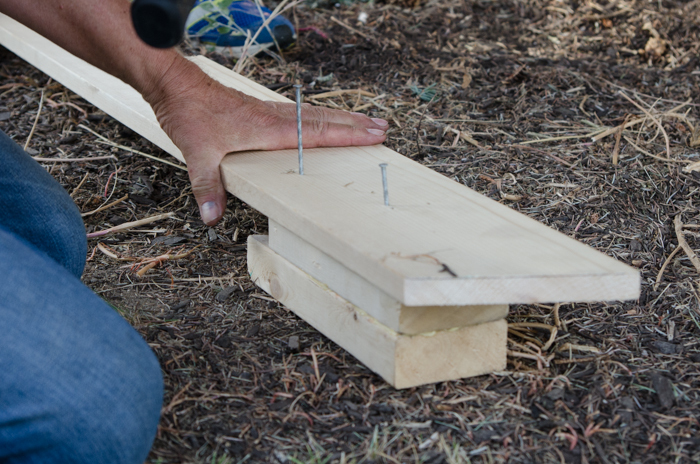 We used a circualr saw for this, but a hand saw would work easily too. 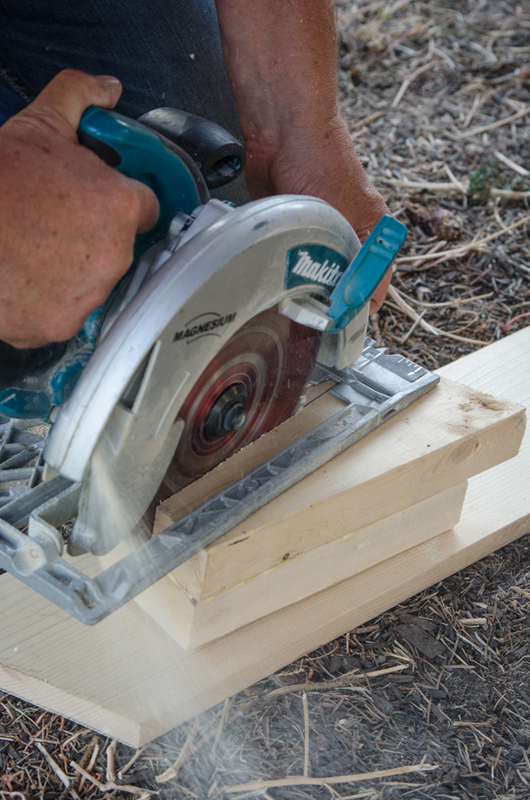 Our trick for cutting scraps of wood without a proper work bench and vice without endangering any fingers? Nail it to something bigger. We’re such MacGyvers, aren’t we? You’ll want to sand or file down the edges before it’s ready to use. And if you glue two pieces together like I did, you’ll need to wood-fill any gaps and sand that down too. 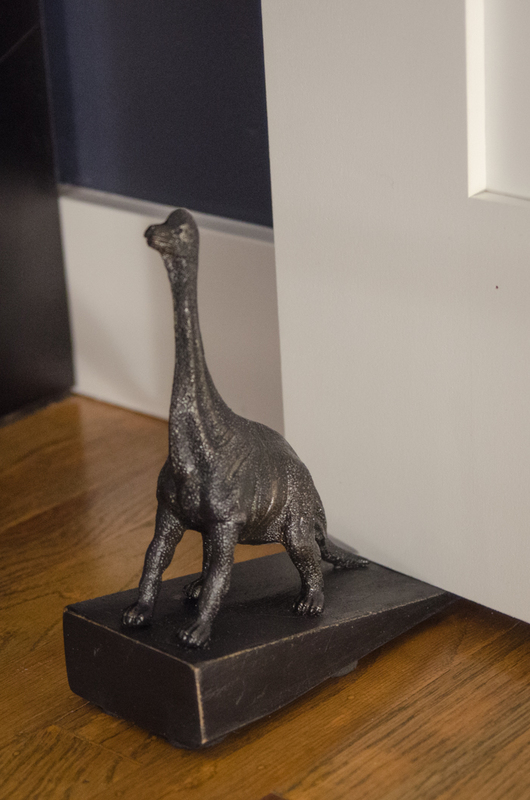 The next step is to Krazy Glue your animal onto the door stop. Any animal would be fun, I really love the lion that Anthro had on theirs, but when I spotted the dinos, I couldn’t resist… they’re so cute! 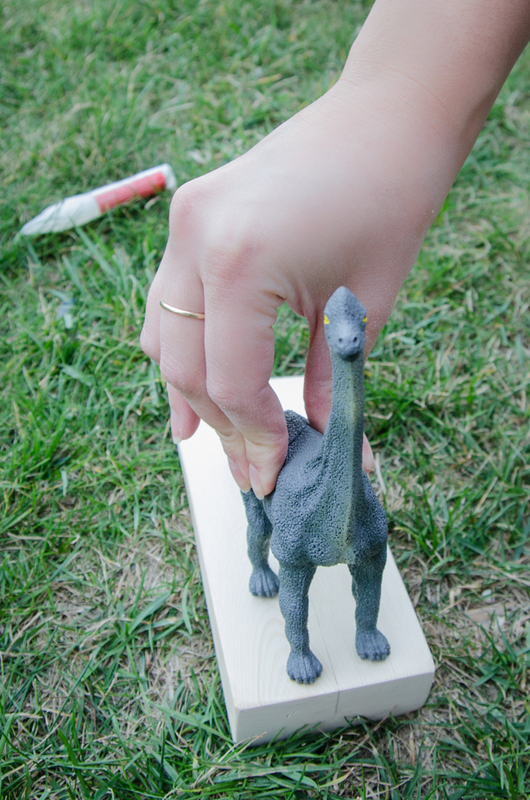 Glue it towards the thicker side of the door stop- so the tail or back side doesn’t get hit by the door too often. Let it dry completely before getting crazy with the spray paint. Then, start by painting with the metallic colour. When you’re satisfied with your coverage (it might take a couple coats), move on to the black. I used a candle to rub over the ridges (where I wanted to stay metallic) to transfer wax and keep the black paint from adhering. 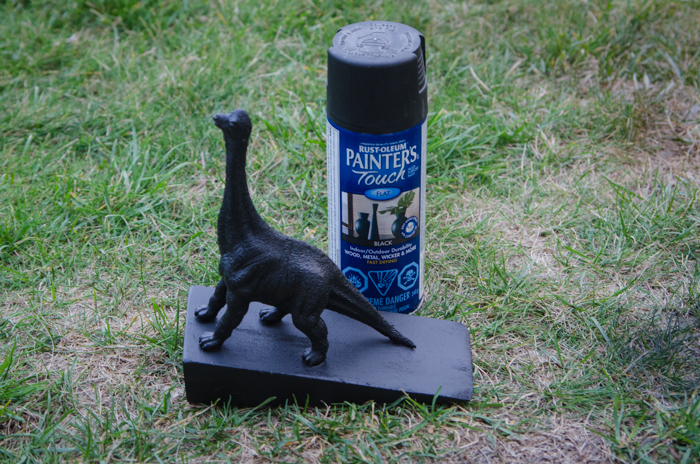 Then, I sprayed a couple coats of the black. When it was dry, I took a cloth and sandpaper and rubbed the black off where the wax had covered. This worked really well on the wood… but not so great on the plastic. 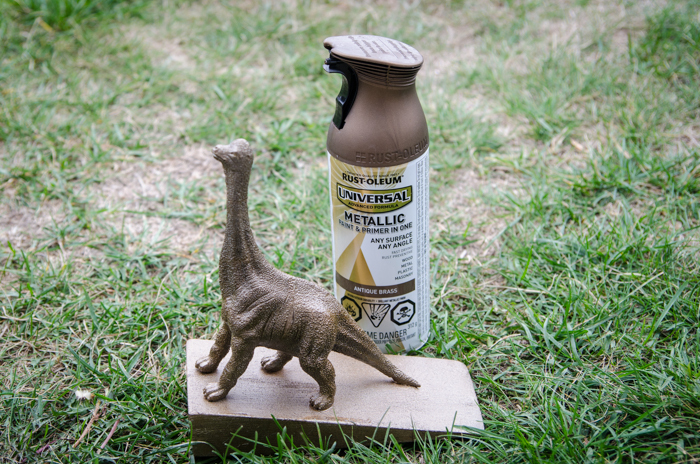 I ended up using a Q-Tip to apply some more of the metallic spray paint to where I’d sanded the plastic. Now it was ready for the clear coat. I gave mine three coats of the clear to keep it durable… I know it will be getting lots of love (abuse) from my kiddos! They’ve already spotted it and made it their pet. When it’s done, you’re almost there… just add some gripper pads to the bottom (this will really help it stay in place) before putting it to the test! You can see those little feet on mine in the final picture, they’re just rubber pads and you can find them in the same aisle as the pads to protect your floors for the bottom of furniture. That’s it! I’d love to hear what you think of these little dinos! Do you use door stops in your house? We never had before kids. And we actually tried a plush owl doorstop before this (a Christmas gift) but even though it was weighted and heavy, my daughter loves anything plush and would try her hardest to lug it around with her… clearly that didn’t stop the doors from being shut. What animal would you use for yours? This is amazing! I absolutely love this idea! Thanks so much for the inspiration! I think a dinosaur or a truck would be my boys choice!